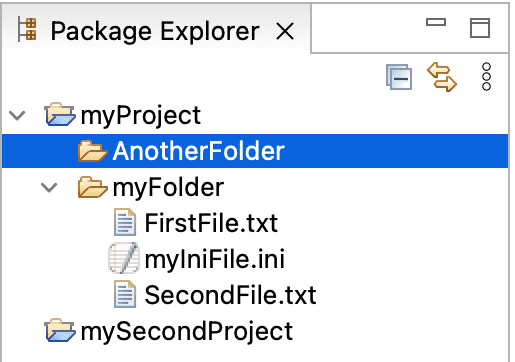 This section will work with the Project Explorer and Tasks views. These views are initially part of the resource perspective. To experiment with other views, they can be displayed by using the Window > Show View menu. One important view to become familiar with is one of the navigation views, which displays information about the contents of the Workbench and how the resources relate to each other in a hierarchy. The Workbench contains projects, which in turn contain folders and/or files. Projects, folders, and files are collectively called resources.